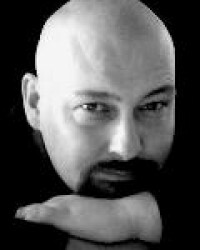 Tom is an amazing psychic, clairvoyant and spiritual reader. Tom can help you get to the root of any problem you may be facing in your life. His psychic readings are very straightforward, so if you're prepared to face some difficult truths that may be blocking your development, then Tom should be your pick. He is also a fantastic Clairsentient, very effective in passing messages from Spirit to you. Tom can also show you things in your past from a different viewpoint and help you overcome challenges. He is an exceptional reader for those who are in crisis. You will be amazed at the details Tom can provide you with and can help you find a way forward and help you to see the light at the end of the tunnel. Just dial 0207 111 6304 from the UK or 1877 608 3731 from the US. You'll be convinced, from the very first moment, of his extraordinary gift to read people!